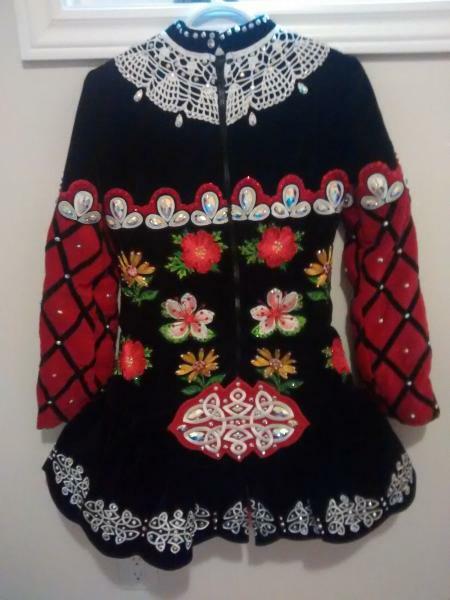 dance.net - Price reduced on almost new floral beauty; ages 12-16 (10242905) - Read article: Ballet, Jazz, Modern, Hip Hop, Tap, Irish, Disco, Twirling, Cheer: Photos, Chat, Games, Jobs, Events! 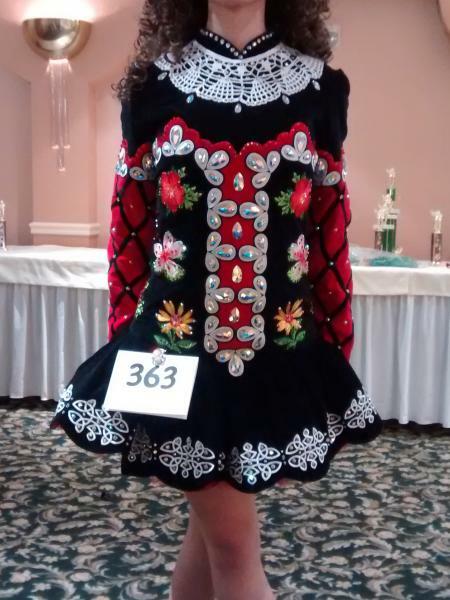 Beautiful on stage, worn by world qualifier at 2015 Oireachtas. Over $600 in crystals alone on dress! Measurements: please note there is LOTS of let out room all over dress! Happy to send more photos, measurements. 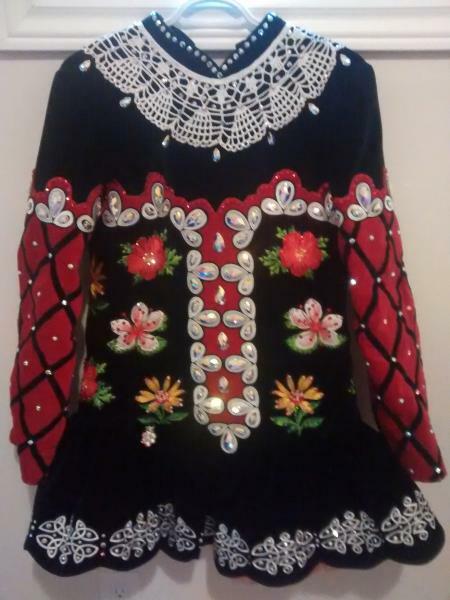 Dress will be at Holly Feis in Massachusetts December 4th with a special feis one day price! Dress also comes with fully decorated matching soft shoes for awards, black shorts for under dress. Lots of let out room in all areas, let down as well. Much prettier and sparklier in person. Can send more photos if asked. You won't be disappointed in this dress! Pristine condition, shows beautifully on stage! Must sell...dancer heading to university.